No matter what the size of your event is, the odds are that you’re going to have some guests attended who require some sort of VIP transportation. This could be as simple as a private airport pickup during peak travel hours, but you might also need luxury SUVs if there are more people in the VIPs group. 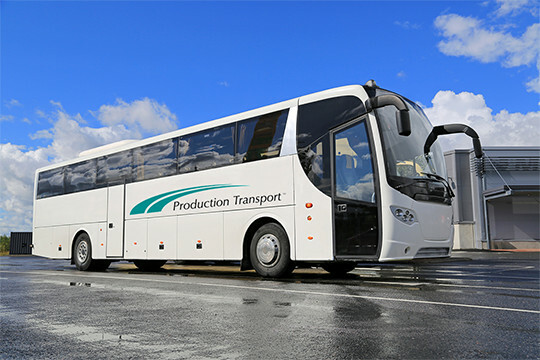 Production transport has the necessary experience to organize the right travel options for all your guests, especially those whom you consider to be VIPs. Beyond VIP transportation, we also specialize in organizing large scale transport options for your event and all guests. We’re able to produce a massive fleet or shuttle busses that will move guests to and fro as needed from the event venue, to the hotel, and to the airport. We can also provide sponsorship opportunities for any of the companies attended. If you’ have a new exciting product that you’re ready to promote to the masses, then taking out full size shuttle wraps will catch the attention of anyone who walks near them. With over three decades of relevant industry experience, Production Transport knows what it takes to make sure that your convention or tradeshow goes off without a hitch. We’ve worked the biggest events that have over 100,000 attendees, and all of them have their transportation needs accounted for. By beginning the planning process at least a year in advance, we make sure that no detail goes overlooked.